What could better thinking do for your team? 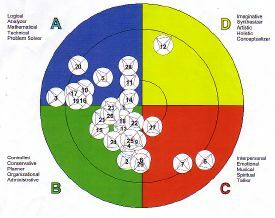 The HBDI (Herrmann Brain Dominance Instrument) is a profiling tool and a framework that will help people, teams and organisations thrive. Our facilitated workshops will help you understand and categorise different preferences to help you think differently, communicate effectively and influence ethically. 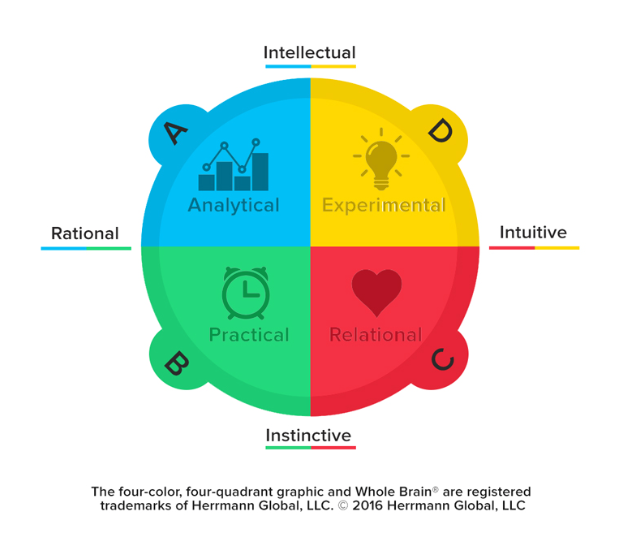 Whole Brained Thinking will help you harness the creativity, innovation and agility of you and your team. At mojologic we start by helping individuals understand their own unique thinking preferences then illuminate how this new self awareness can help understand others, find common ground and realise a range of benefits. Our accredited facilitators and coaches are ready to take you through your individual HBDI profile pack once you have completed your online questionnaire. Leverage the power of the Herrmann model to promote a shared understanding of the thinking preferences within the team. Improve communication and strategy planning. Our approach will help you and your team find coherence and high performance. Take your profile with you using the HBDI Mobile app. Available to anybody who has received their profile from a certified HBDI practitioner. Your profile in your pocket – helping you to think better. 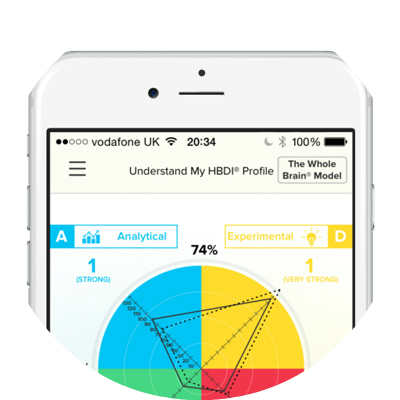 Use the HBDI app to help you remember your profile, apply what you have learned and share with others. 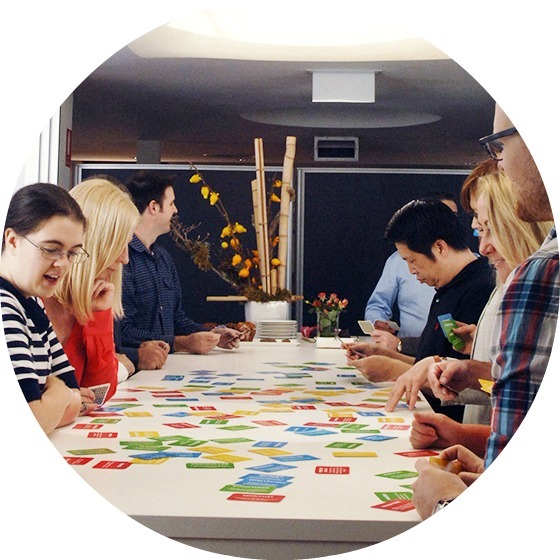 The team profile is a powerful framework that will help you make collective decisions. You will have a visual of your strengths and potential blindspots for achieving your goals.